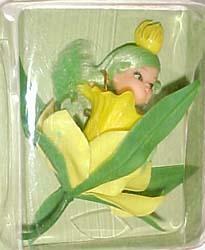 Hasbro 8575 Rose Flower Darlings doll, 3 1/2"
Seven dolls in the Hasbro Flower Darlings doll series, the original Flower Darlings doll artwork is from the Don Levine collection who is best known as the creator of the G. I. Joe action figure and was a Vice President at Hasbro when these dolls were produced in 1968. 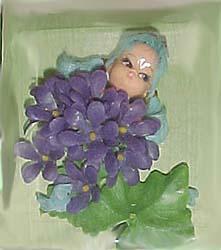 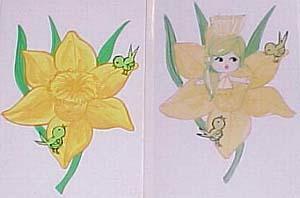 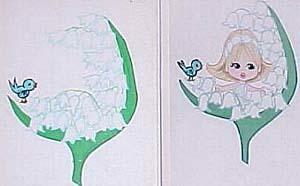 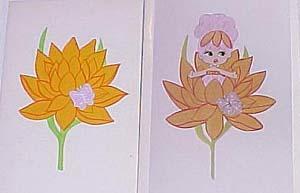 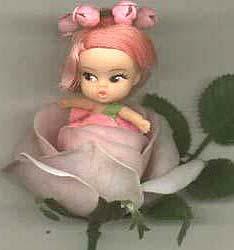 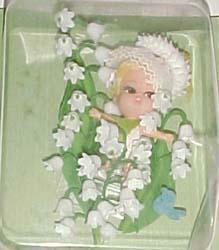 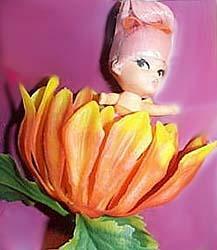 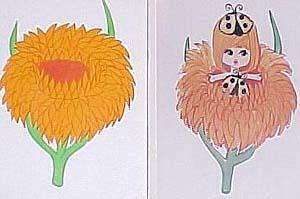 Flower Darlings dolls are 3 1/2" have rooted hair, wear a flower costume to match the dolls name and were scented. 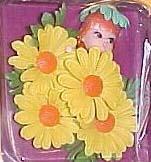 A pin on back allows the doll to be worn by a child, accessories were a yellow comb and brush. 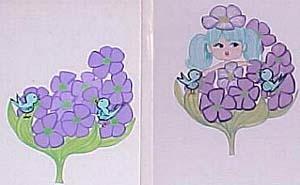 Daphne, Lily and Violet are all shown below as prototype dolls, also from Don's collection and the Mum doll artwork is shown, but no doll was ever produced. 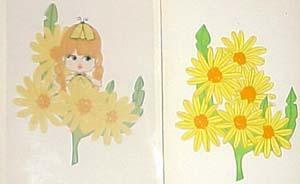 We have never seen this doll available any place or even in any reference book and she does not appear on the back packaging, so Mum may not have been produced as a doll.